Around 300 million years ago when there was only one content - Pangea - a volcano erupted with the force of 250 atomic bombs. Not long after that, the seas parted and the Alps forced themselves towards the heavens revealing the super volcano of Alto Piemonte with a depth of 30 kilometres. This only known case on our planet Earth provides us the Jewel of Italian Oenology. Well, that, and the microclimates of the region and the skill of the cultivators. Geographically speaking this Super Volcano phenomenon is delimited by the Padana Plains, the Pennine and Lepontine Alps, Lago Maggiore and Monte Rosa. Alto Piemonte viniculture owes much to Monte Rosa which protects our fertile hills from the frost. For reference, Monte Rosa’s Punta Dufour is the second tallest of the Alps at 4,634 metres (15203 feet). Viniculture territories in its shadow are: provinces of Novara, Vercelli, Biella and the Ossolane valley. 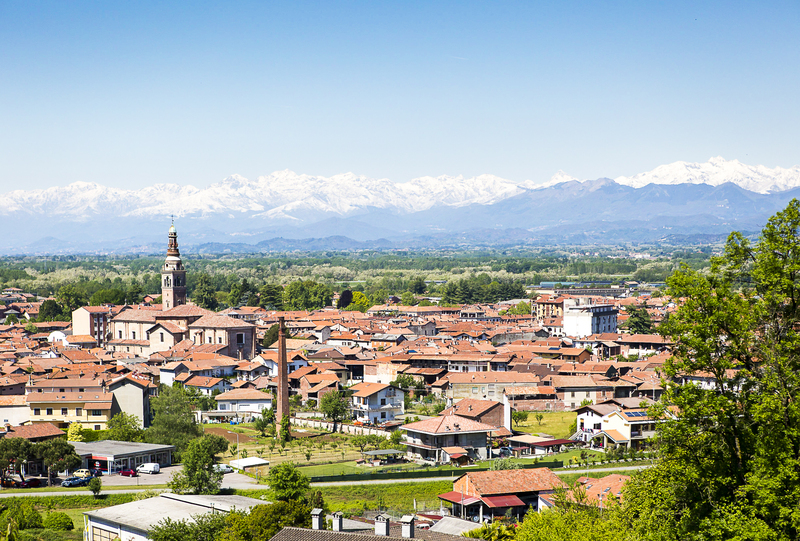 Since Roman times, Alto Piemonte has been valued for its wine production. Numerous testimonials exist, most notably from medieval times, showing the exportation of Novaresi wine throughout the continent. Principally to France and Switzerland for the wine which escaped from Lombardia consumption as a prized commodity. To fully comprehend we must understand that in the 1800’s 42,000 hectares were cultivated for wine production. As the industrial revolution progressed, agrarian peoples chose perceived financial stability migrating into textile production and metallurgy in Torino and Ivrea. The vines yielded to trees such as ash and chestnut. 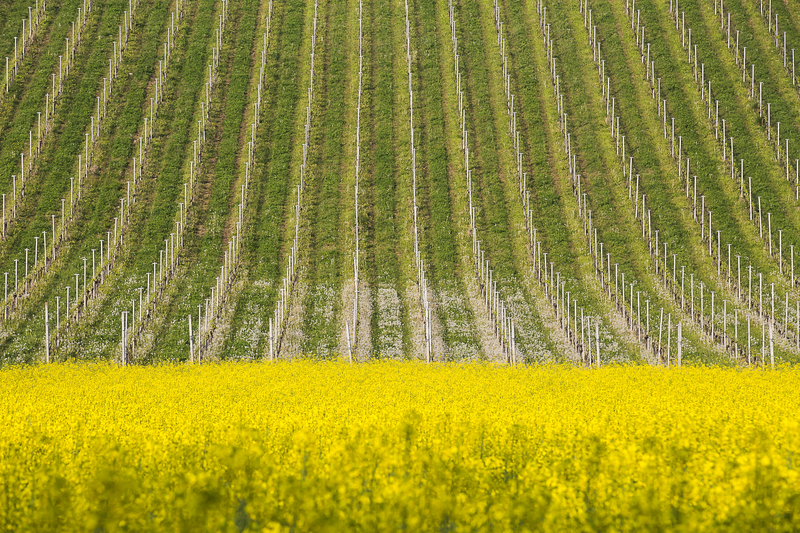 This phenomenon helps explain why in the 1980’s there were only 700 hectares still cultivated for wine production. Gattinara, Ghemme and DOC such as: Lessona, Sizzano, Fara, Boca, Bramaterra, Valli Ossolone, Coste della Sesia and Colline Novaresi are no long niche markets for the passionate of Nebbiolo. They have been discovered internationally as more and more become passionate and markets grow. The Consorzio Tutela Nebbioli Alto Piemonte has taken part in organising multiple events which has fomented the interest and curiosity. 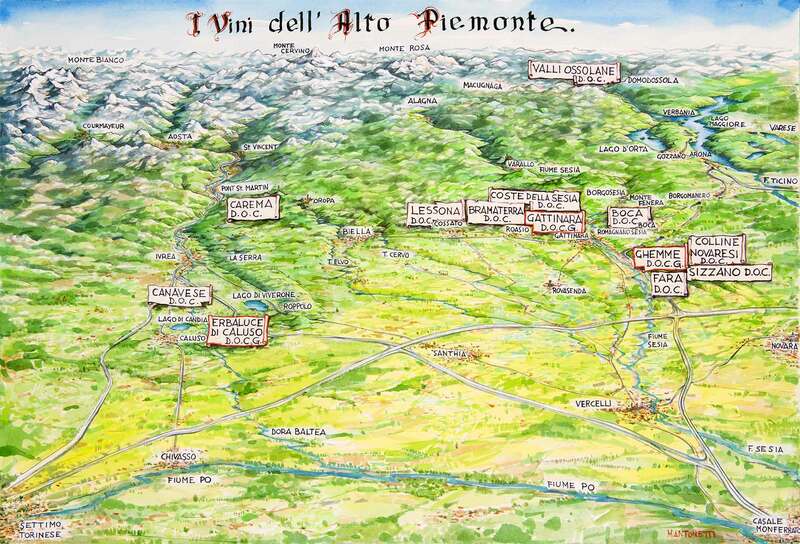 Many have found Alto Piemonte. Its characteristic and pleasurable treasures at competitive prices. Extremely elegant wines with rich mineral shades but especially with capacity to evolve with age whilst preserving and enhancing like a Burgundy. This thanks to the territory’s elevated soil acidity. Our wine is winning adoration one heart at a time the world over.